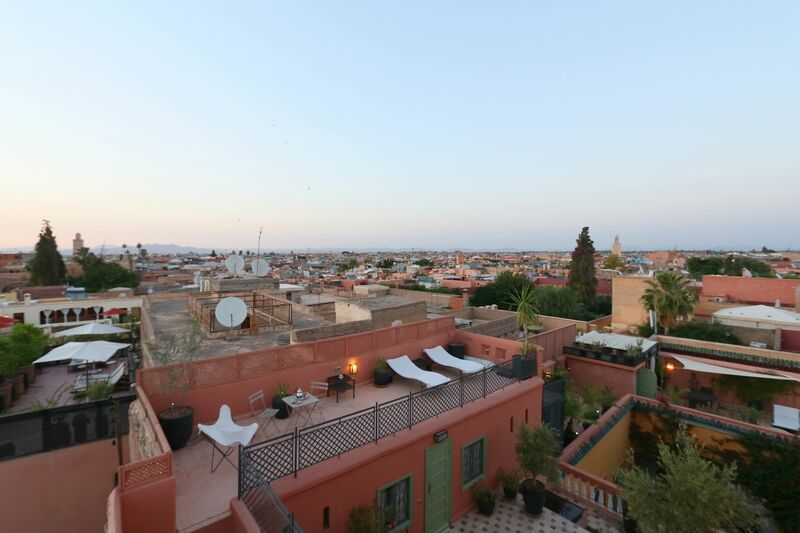 Ryad El Borj, Un vrai paradis cache dans le chaos magique de Marrakech! 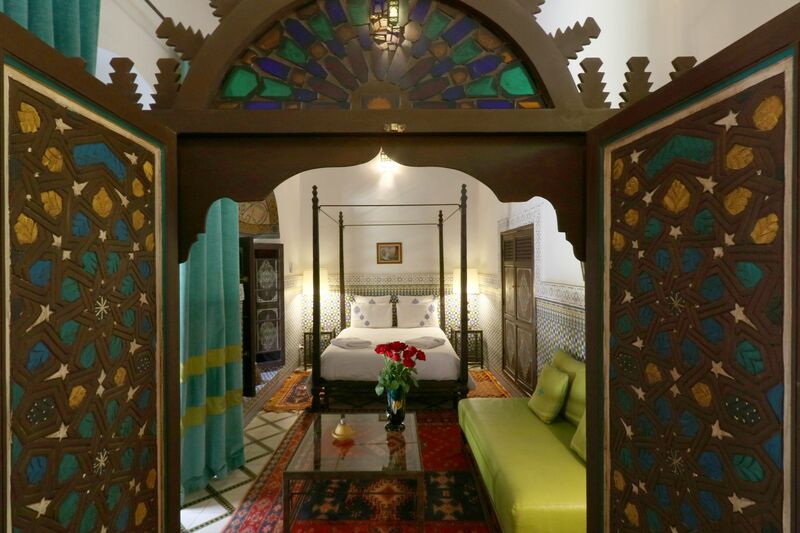 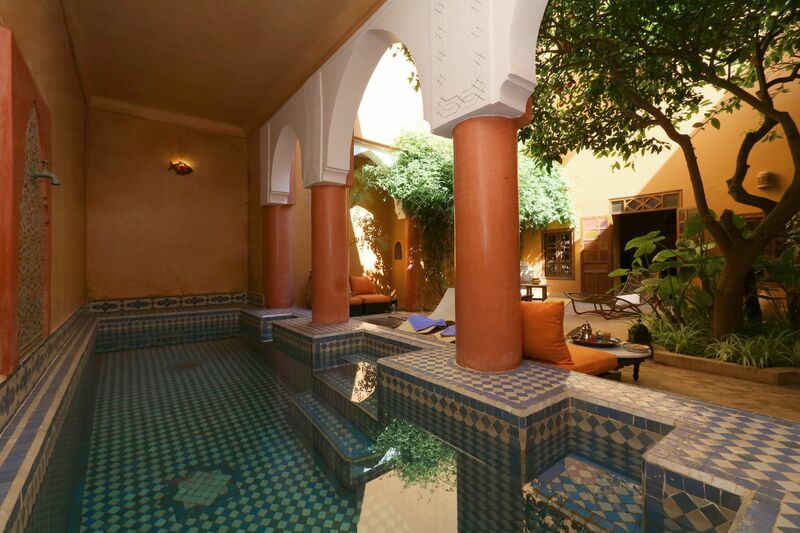 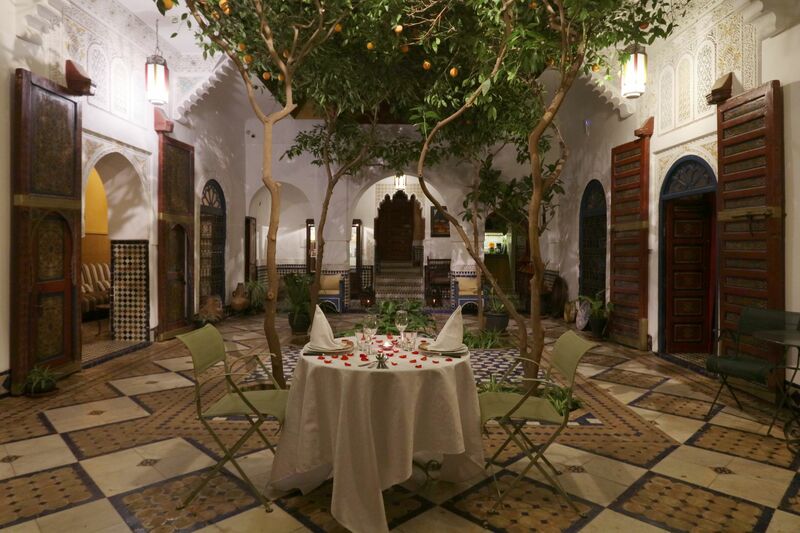 The Riad El Borj was founded on the history of a passion for Marrakesh, its magic and enchantment. 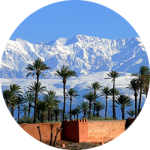 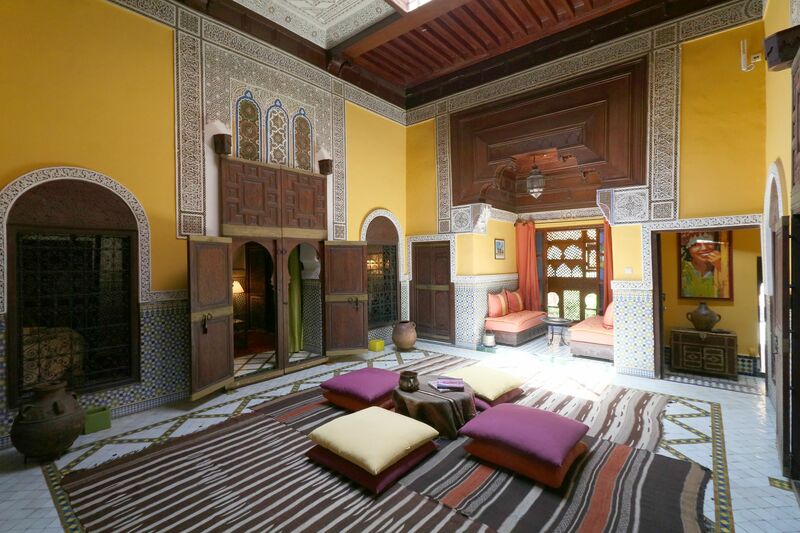 After the purchase of this old Glaoui El Madani property, and its restoration with respect to the location, there came a desire to share the taste of Marrakesh. 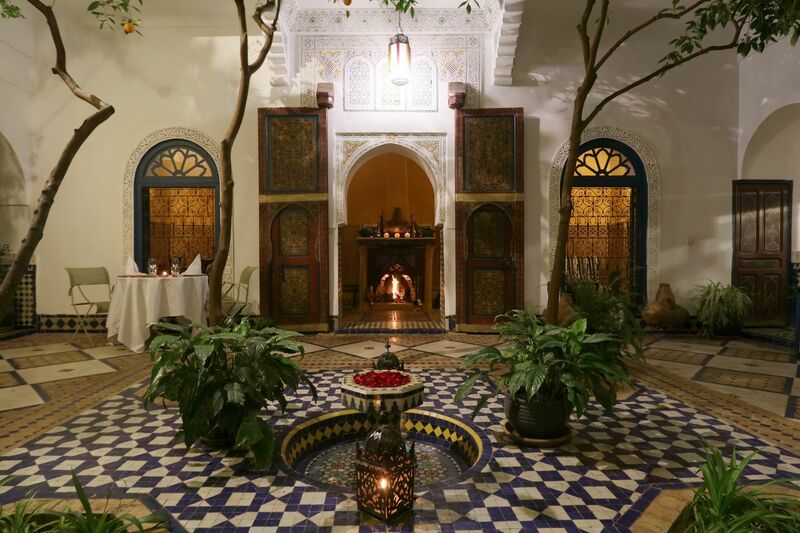 With the help of an attentive staff seeking to perpetuate the tradition of hospitality, travelers are invited to discover the exotic atmosphere of Moroccan interiors. 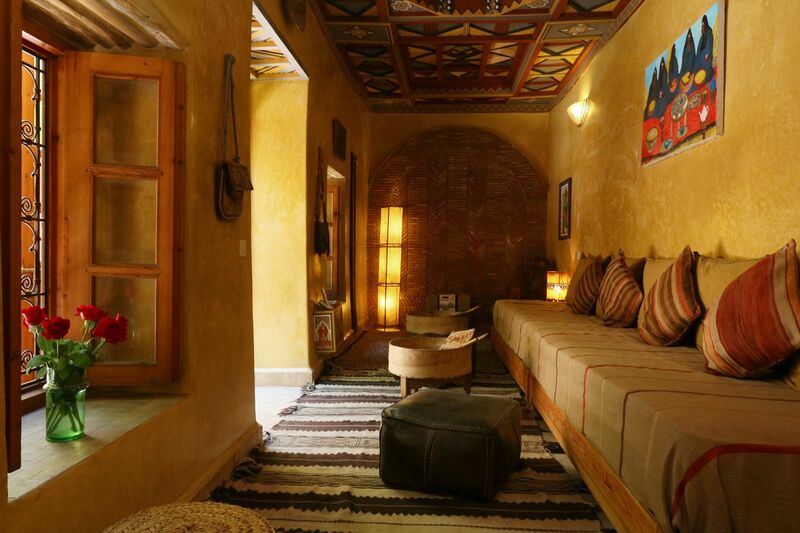 Comfortable and cozy, they are great for relaxing after a long stride across the streets of the Medina. 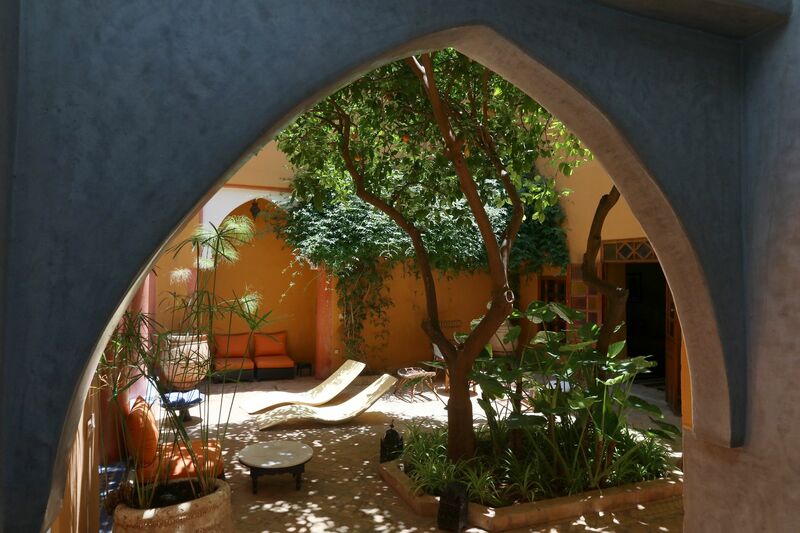 Our Moroccan lounges are set around the patio on the ground floor. 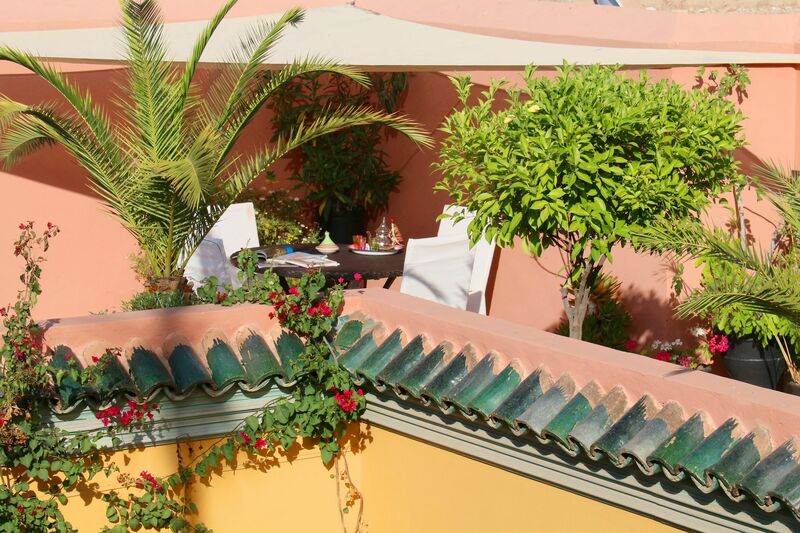 A kingdom of plants and birds, this area of relaxation is much sought by sunbathers. 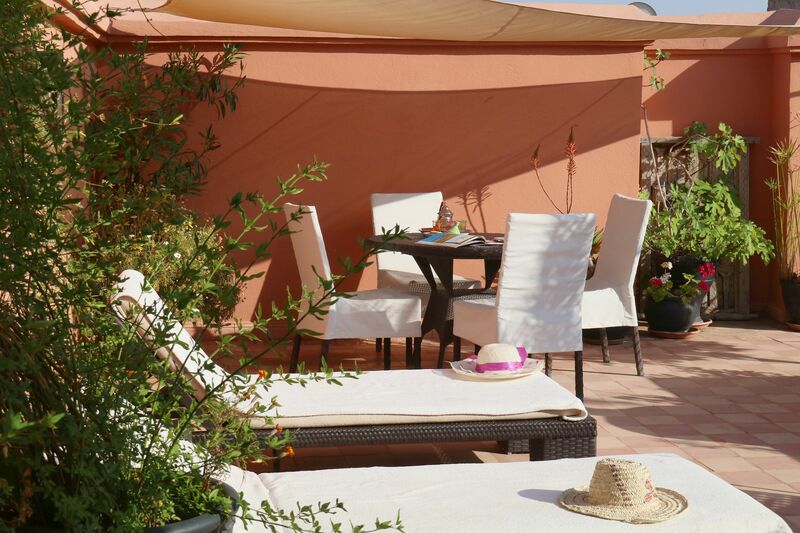 Tanning sessions are always welcome on our chaises longues. 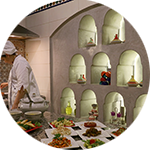 Various shaded and eating areas also ensure the well-being of our guests. 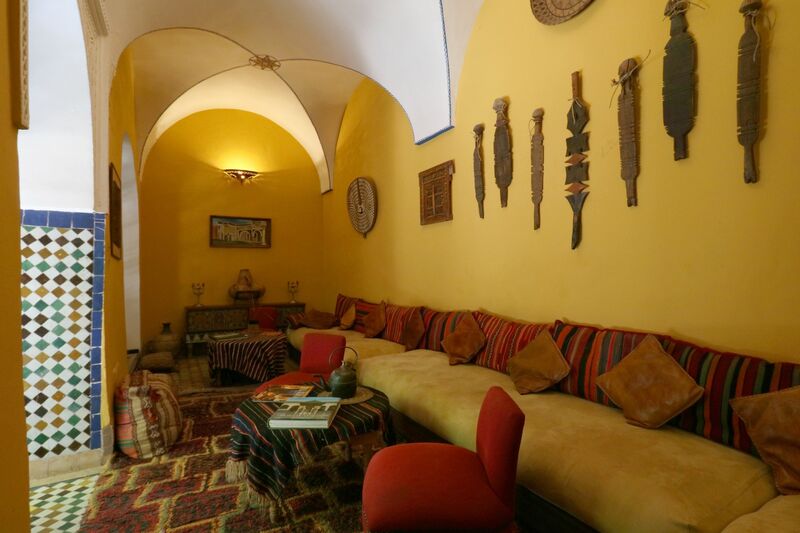 An extension of the Riad El Borj, located about 30 meters away on the same street. 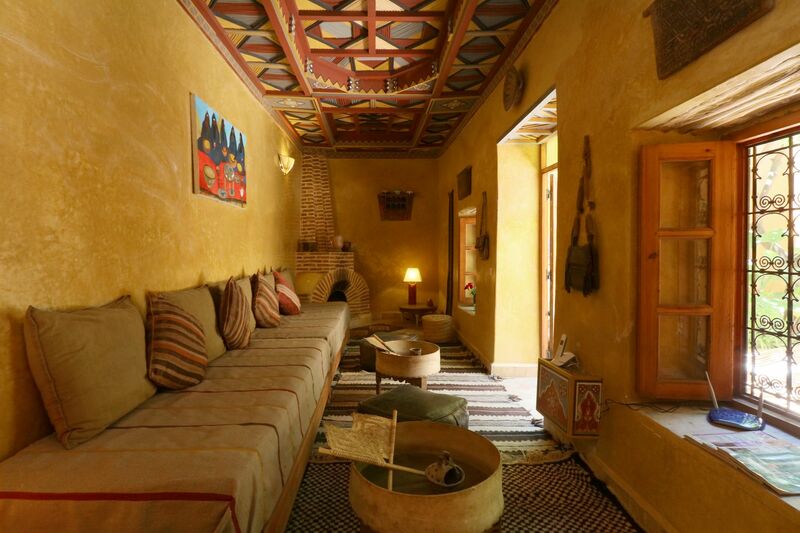 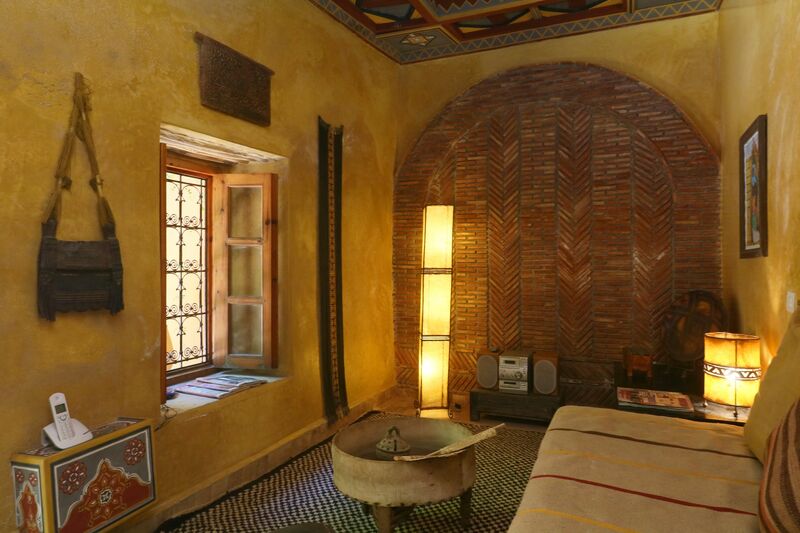 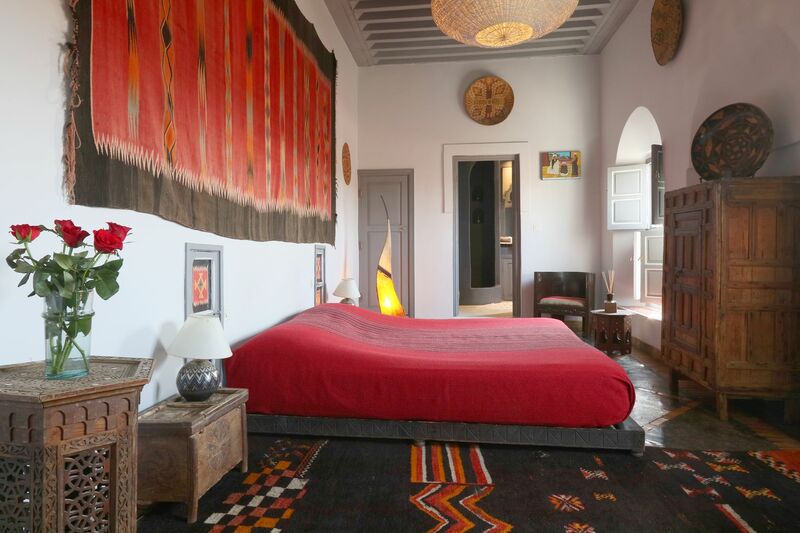 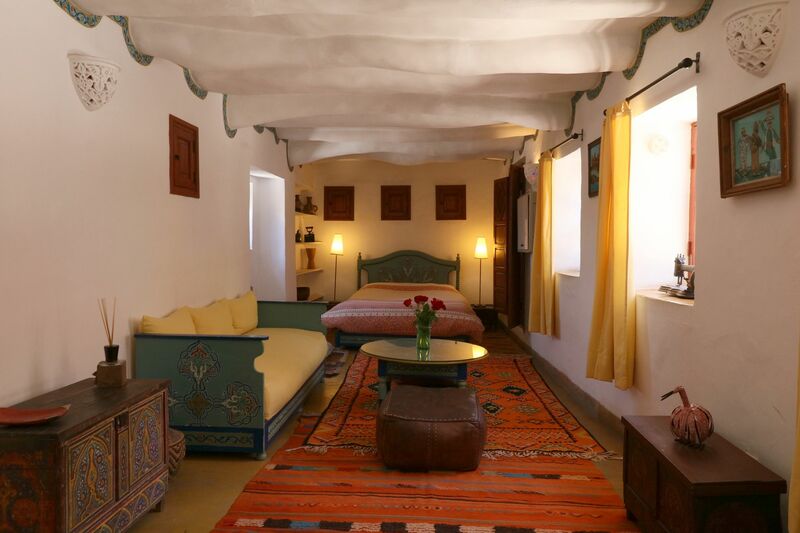 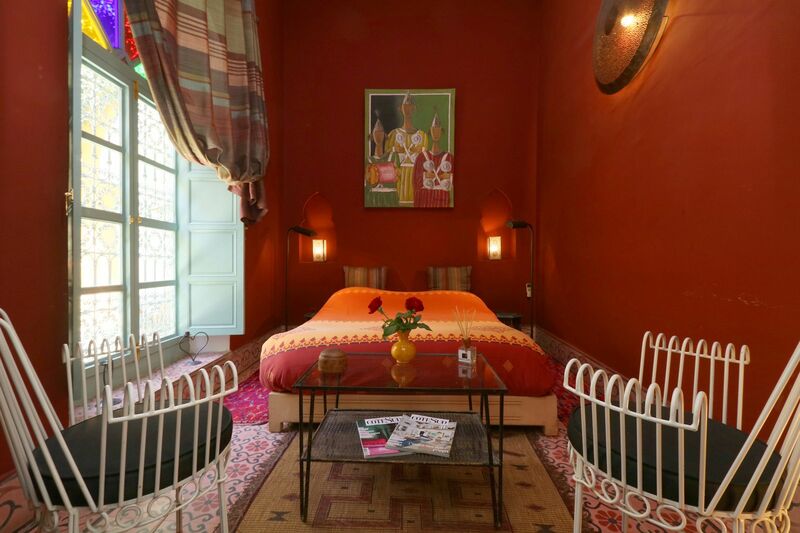 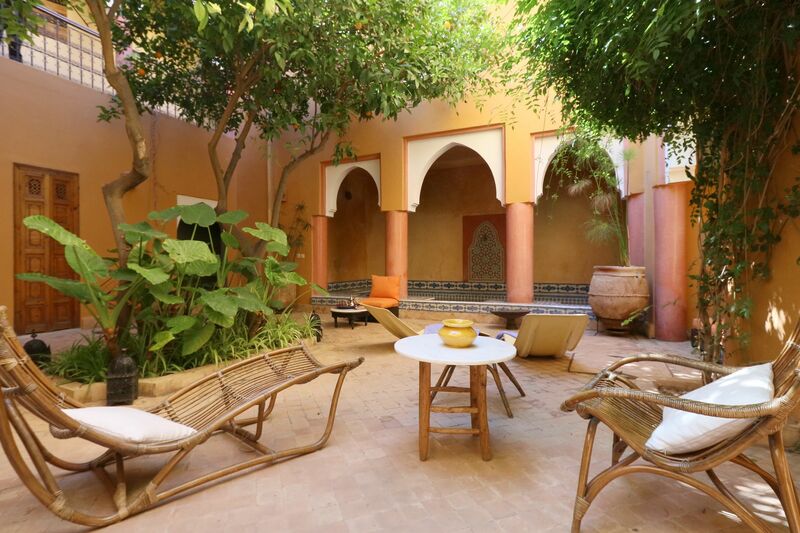 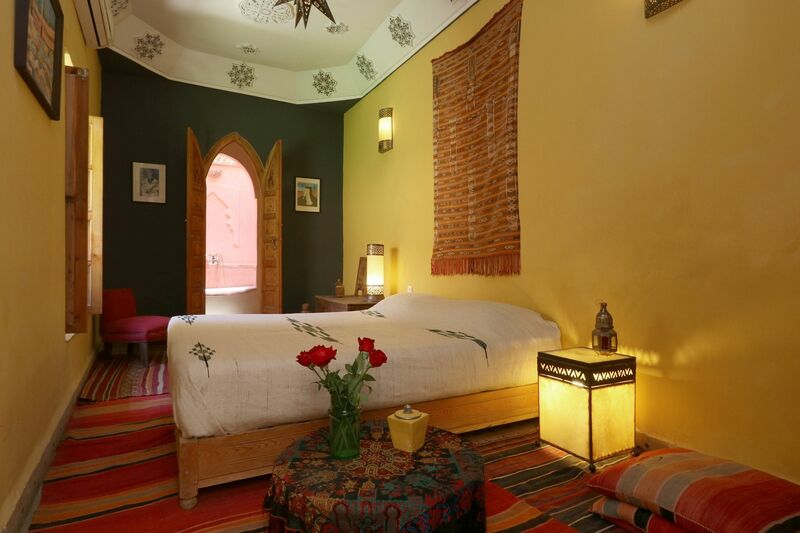 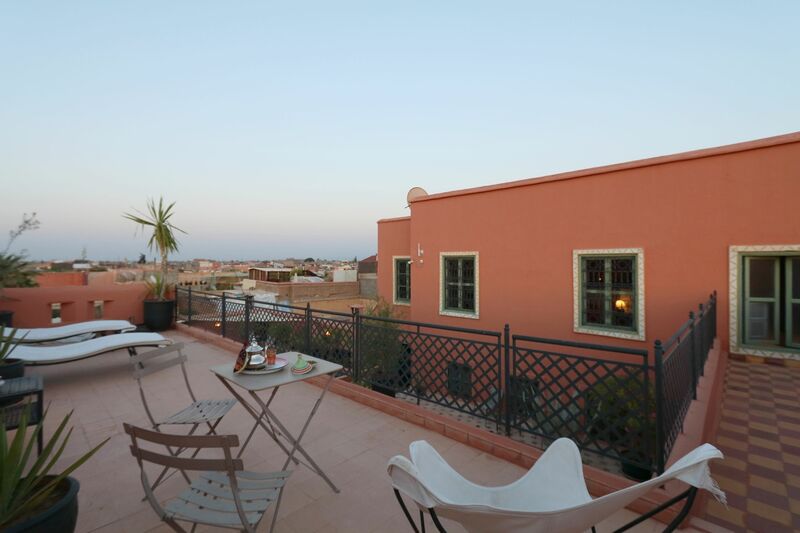 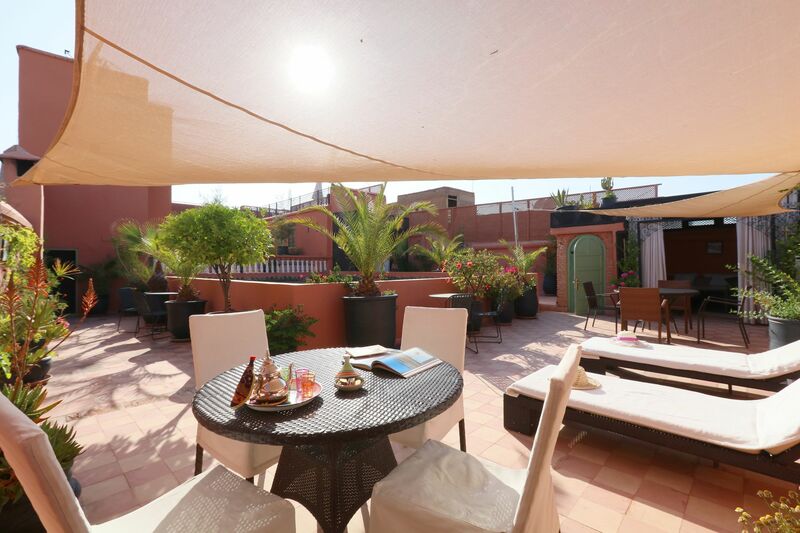 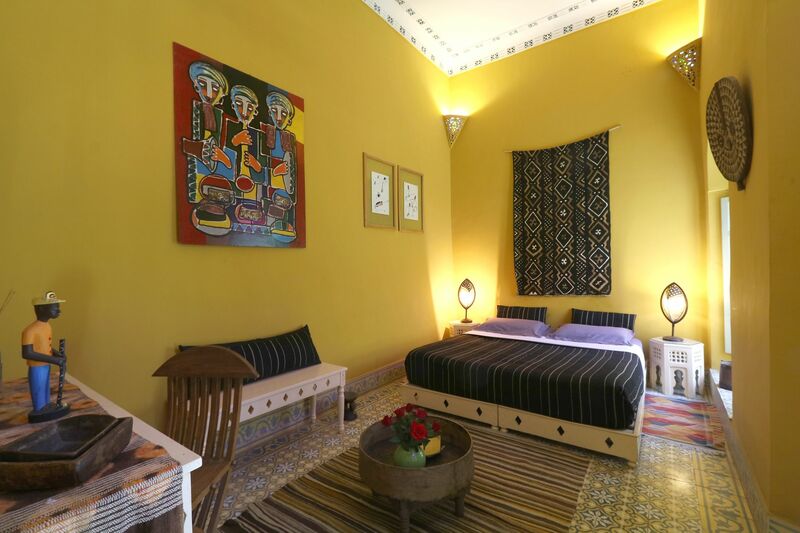 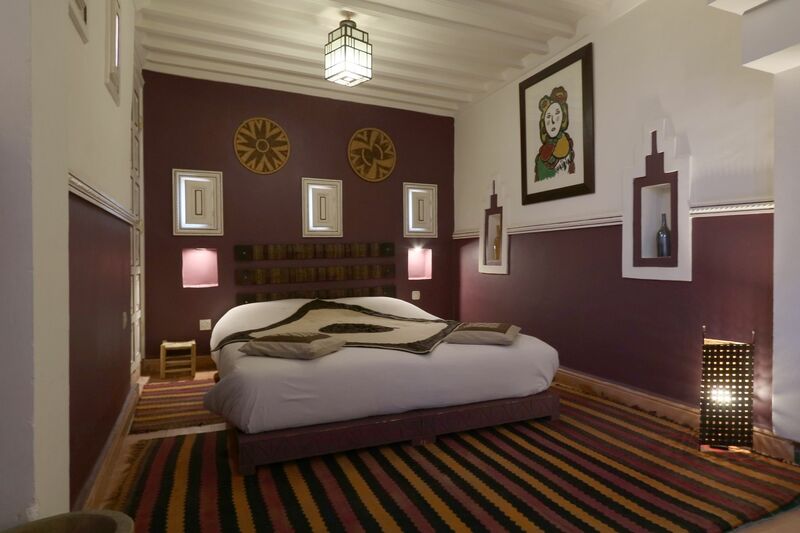 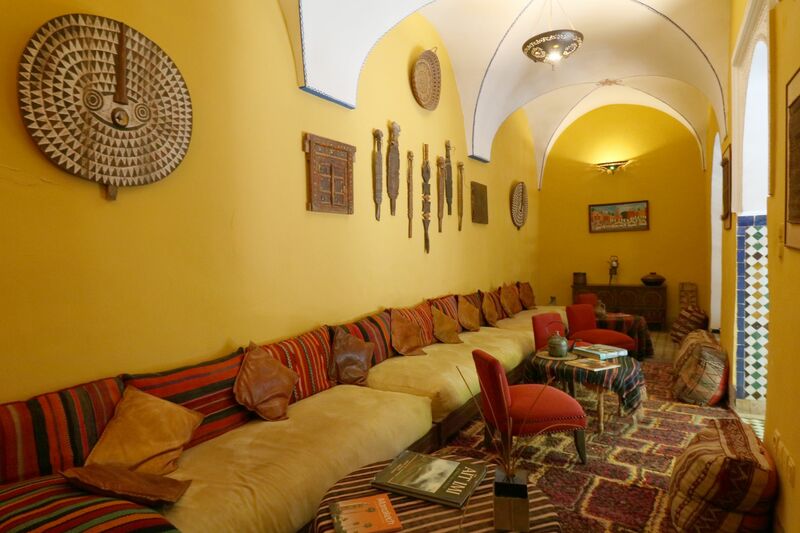 The Riad Jenanne is quite a charm, with 2 bedrooms and a living area, in the colors of the South. 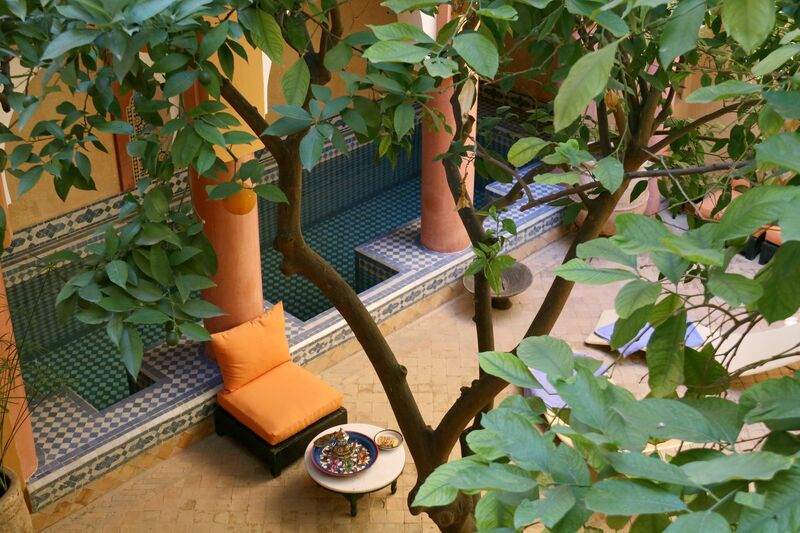 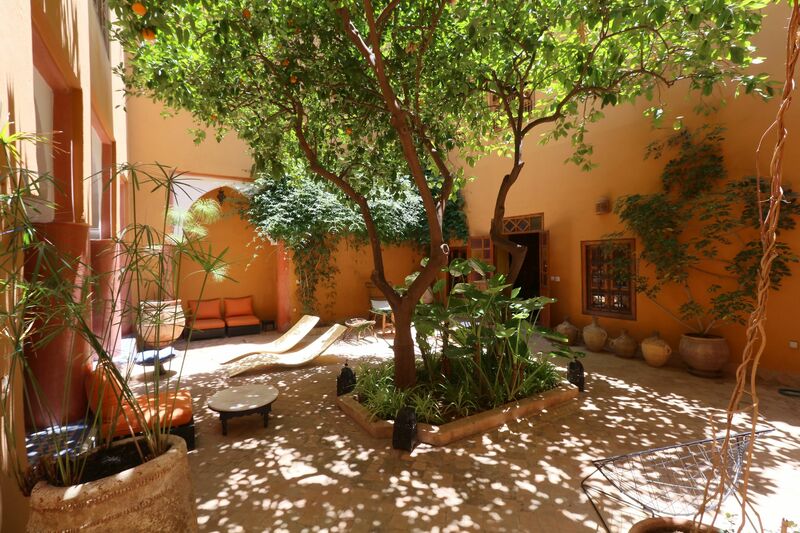 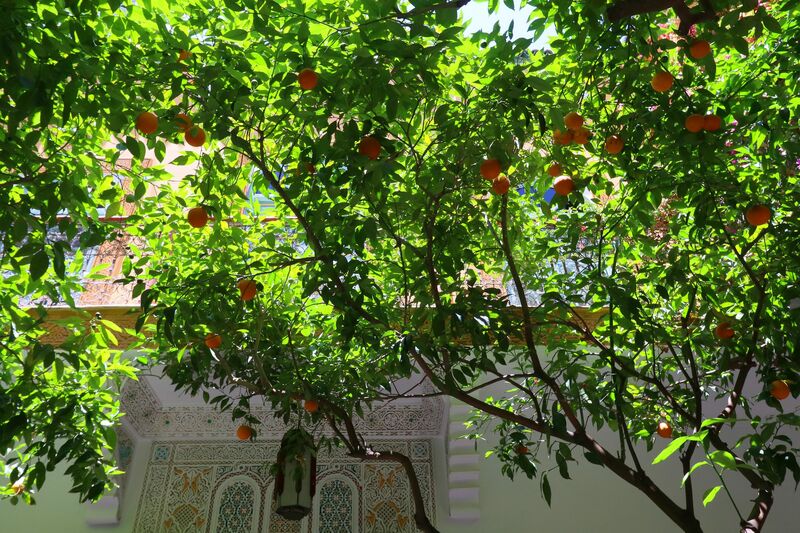 An ideal space for relaxation, under the shade of our orange and lemon trees, next to our small pool. 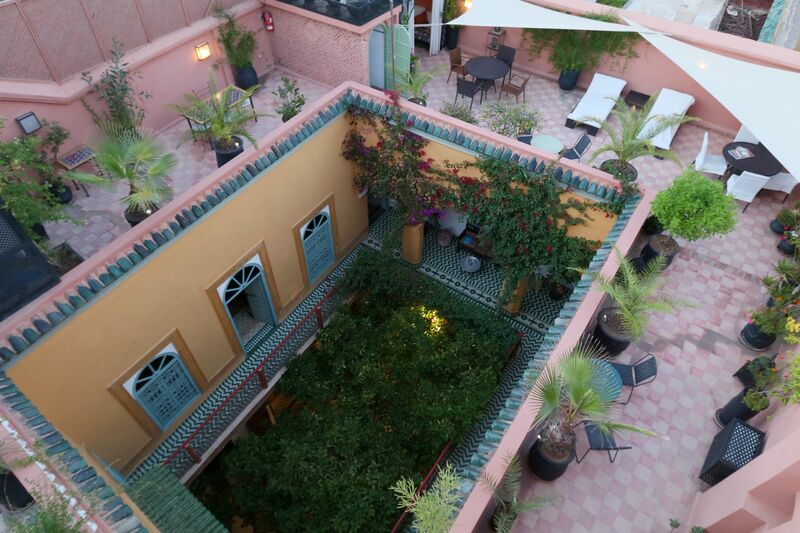 The Riad El Borj is ideally located, just a few steps away from the cobblestones of the Jemaa El Fna square. 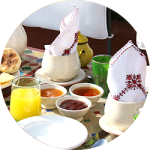 After the Cafe de France, the road goes straight to the Derb Dabachi and its popular, business agitation. 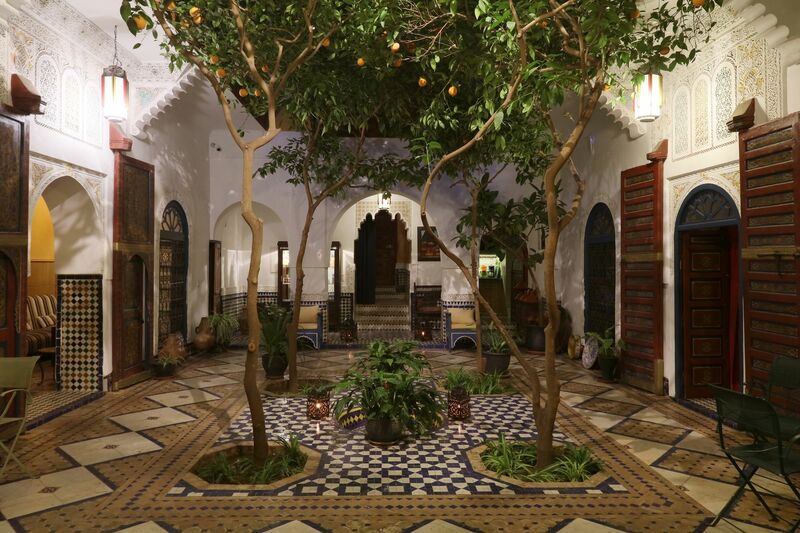 Right after, to the left, is the discreet entrance of the Derb Moulay Abdelkader, a peaceful and tree-filled street that leads to a historical district, built around the ancient palace of Glaoui El Madani. 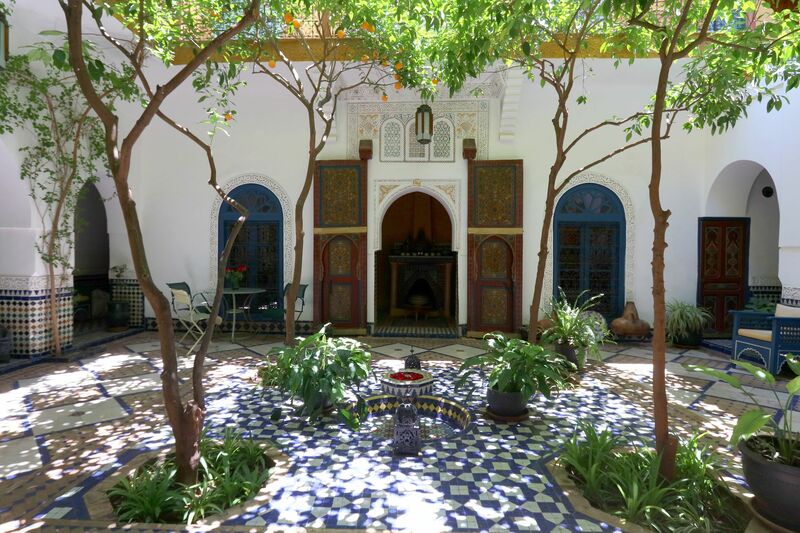 Moving on, there is a street that goes straight down, past a mausoleum after which it is named. 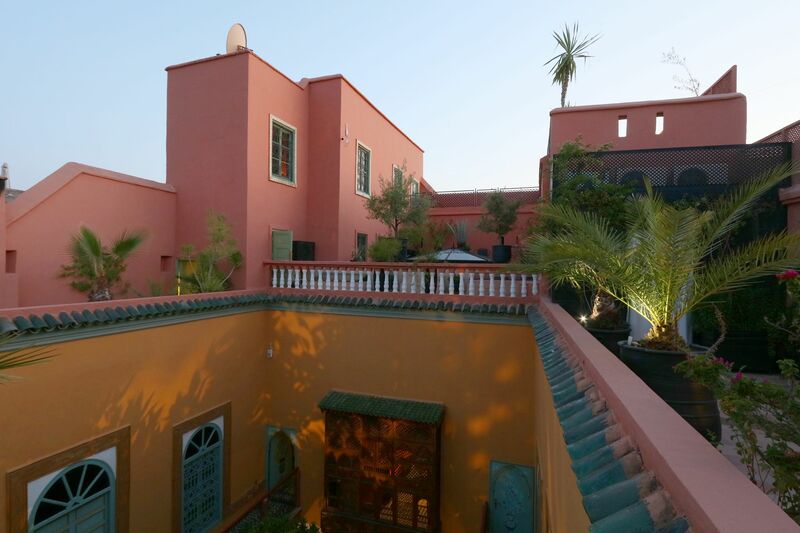 Then beyond the first arcades is a former watchtower. 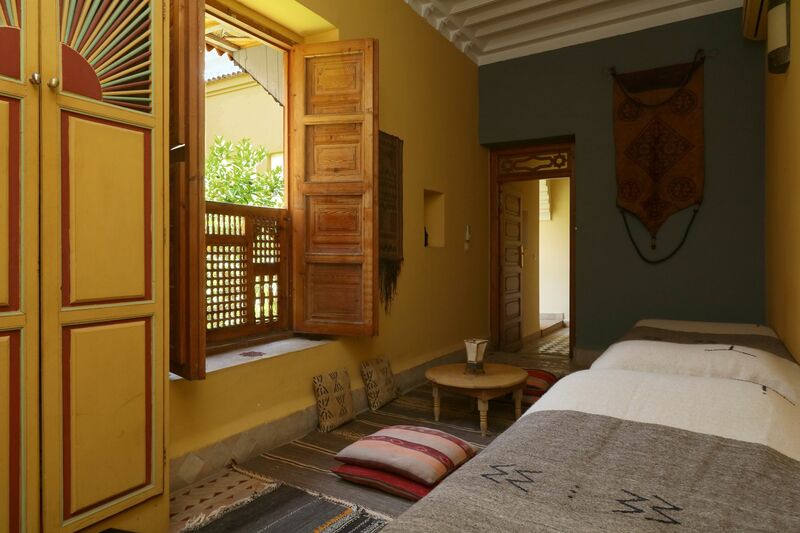 To the left, door number 63 opens up to a whole new world: the calm and serene oasis of the Riad El Borj. 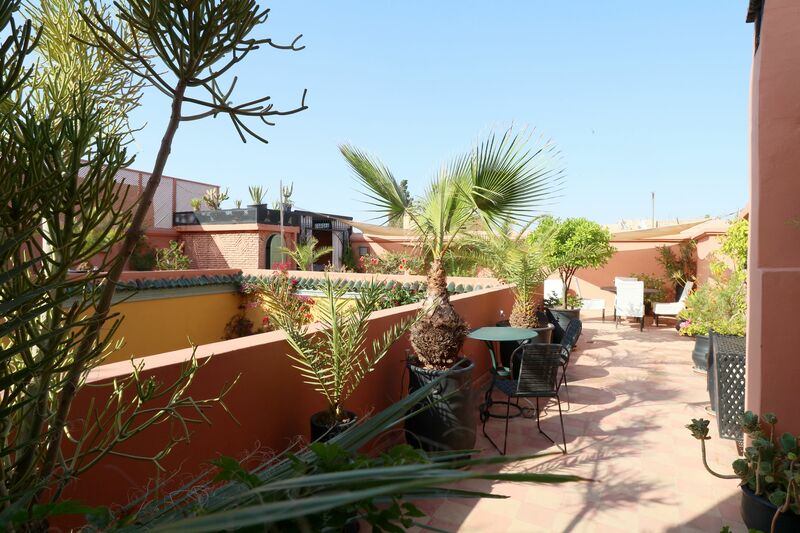 The proximity of the Jemaa El Fna square makes it easy to find the Medina, and to visit its areas of interest, which are all less than a 20-minute walk away from the Riad. 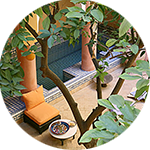 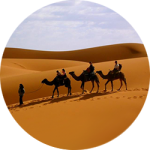 All convenient forms of transportation are just within reach: taxis, carriages, minibuses, luggage trolleys and rickshaws, which can all unload at the door the Riad. 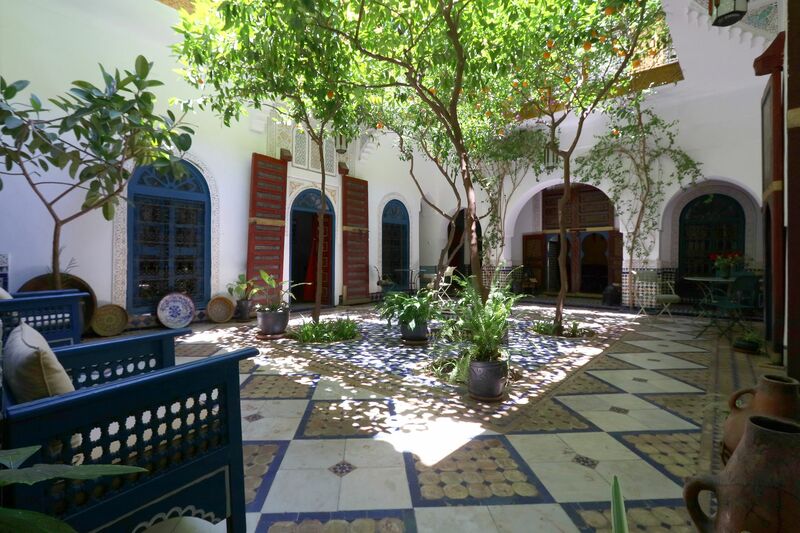 There are also numerous parking lots near the entrances of the square.